One of the benefits of store credit, company PR, and free samples is that you can try a bunch of new stuff without spending your money. It's especially nice when you end up loathing a product; you don't want to feel like you've wasted that $30. Unfortunately, one of these products went beyond being "meh" and actually ate my face alive. Pray for this face, friends. This eye cream got a stupid amount of hype recently. Bloggers and YouTubers insisted that this cream's yellow color helped it correct your undereye circles, and they claimed that it was the most moisturizing, smoothing eye cream they've used. I think it's this level of hype that set me up for disappointment. Yes, it is quite hydrating and smoothing, even more so than a lot of other eye creams I've tried. But this did nada on my undereye circles. The people saying that must've had the faintest circles known to mankind, whereas my undereyes are a very strong, dark blue. Still, it's a nice eye cream that hasn't irritated my skin, and I've almost emptied the sample pot. It works well at night as a soothing treatment or before makeup to make concealer apply better. I wouldn't spend a full $38 on it because I still prefer the Kiehl's eye cream, but I wouldn't turn my nose up another sample of the Ole Henriksen. I continue to be stunned by Glossier's recent focus on skincare. 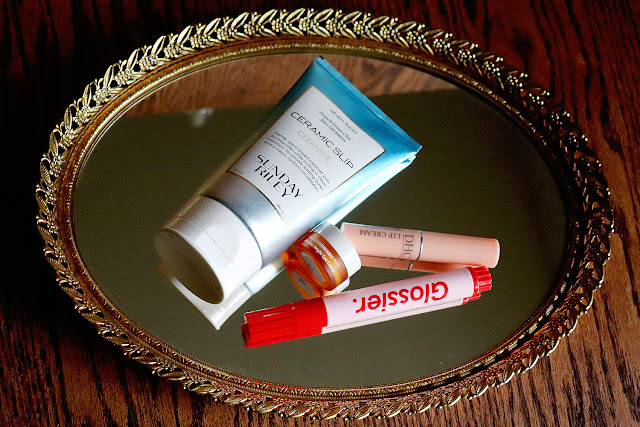 While their makeup is often right up my alley, their skincare rarely tickles my fancy due to the run-of-the-mill formulas and unnecessary ingredients designed to make it smell nice. The ingredients for the Zit Stick looked fine, though, so I purchased one and brought it to a conference shortly after it arrived. Let's get the bad out of the way. First, this is nothing new or revolutionary; it's a 2.5% benzoyl peroxide treatment with a dash of salicylic acid and tea tree oil packaged in a cute pen. It's not strong enough to get rid of my most horrendous, under-the-skin blemishes, and if you rub it on a blemish without a head, it can actually make it a bit redder, which is typical of benzoyl peroxide. There are some positives for this product, however. The tiny tube is very travel-friendly and fits in my small purse easily. The formula comes out slightly pinkish-white at first, but rubs in and dries down clear, so you can wear it in public. When I was on a break during the aforementioned conference, for instance, I noticed a new zit appearing on my forehead, so I rubbed the Zit Stick in to it and it was noticeably smaller by the end of the day. Lena got me interested in this lip balm, and the non-stop 5 star reviews pushed me to pull the trigger. I've been running low on my Nuxe Reve de Miel lip balm, which is becoming scarce in the United States, so I was hoping for a replacement. I do really like this balm, but I don't think it's the end-all-be-all (sorry, Lena), and it certainly doesn't replace the Nuxe for me. 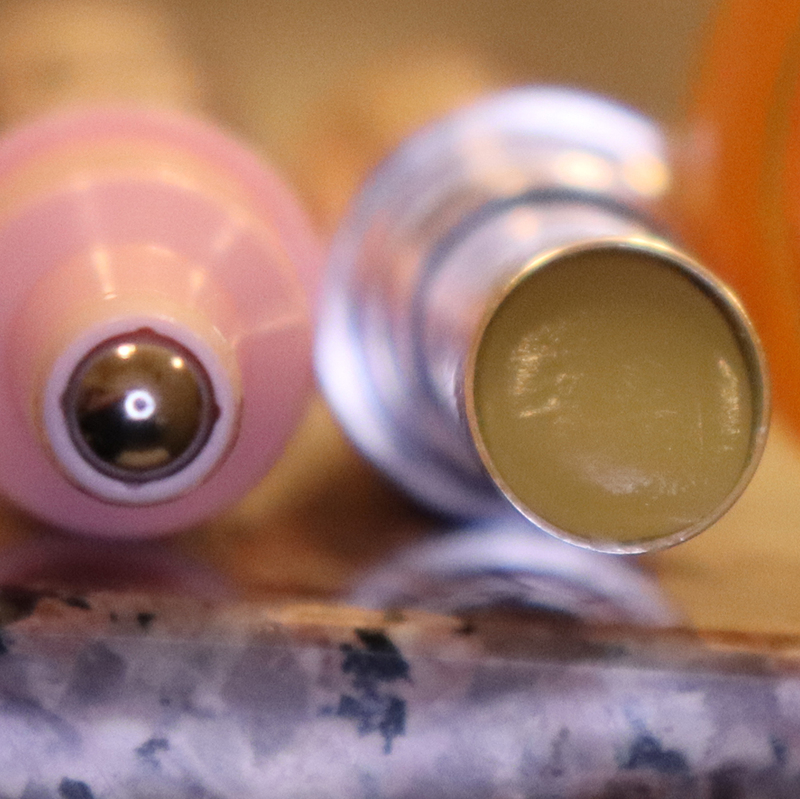 The DHC Lip Cream has a smooth, very slightly waxy texture. It provides light to moderate hydration and is relatively weightless. It's not super glossy unless you really pack it on, so it should work well for makeup-free people, too. I personally love this in the morning to lock in the hydration from my humidifier and help my lipstick glide on. It's nowhere near as hydrating as the Nuxe is, but it gets the job done. The downside is that this is a teeny, tiny tube. You get 0.05 ounces of product, and a month of using it in the morning and at night saw me finishing half of the tube. I might continue to purchase this one, but only when it's on sale (Black Friday, I'm coming for you! ), and I'll avoid using it at night so that it lasts longer. Shortly before I received this cleanser from Influenster, Sunday Riley got itself in to a bit of hot water when a former employee revealed that the company had planted positive reviews. This didn't change my opinion on their products that much, to be honest, because their high price tags and iffy ingredients lists never appealed to me. Still, Ceramic Slip has always been a popular cleanser, and it seemed like it would be right up my alley. I patch tested it for a week and had zero problems. When I used it all over my face, I noticed that it felt soft and was relatively scentless. It didn't strip my skin. That's...about it. Nothing terrible, nothing amazing, just a run-of-the-mill gentle cleanser. 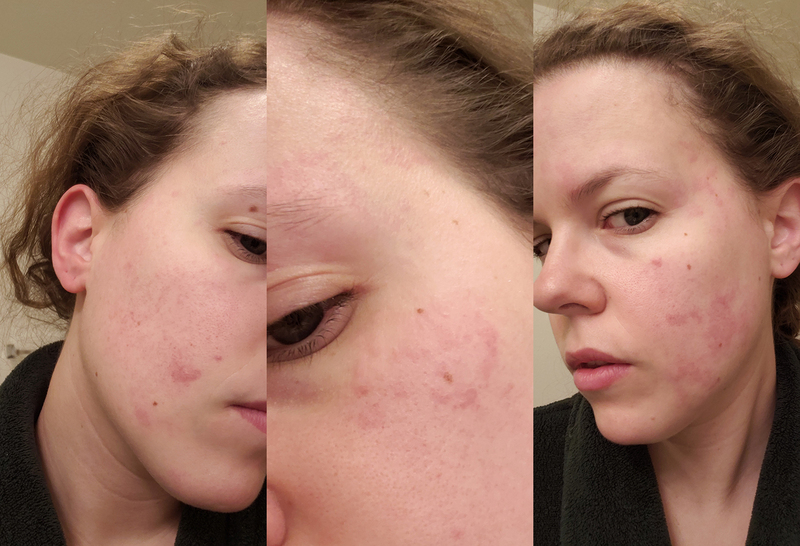 These pictures don't do the rash justice, as they were taken about an hour after I woke up, took Benadryl, and worked an hour at my online job while barely resisting the urge to scrape my face off of my skull. It was twice as unsightly, purple, and huge when I first woke up. I've had some reactions to skincare products in the past, but rarely one this intense. It was so bad, I had to call off work at my on-site job. And when I thought it was getting better, it started to puff up the skin around my eyes--see the middle picture. Suffice to say that I threw the cleanser back in its box an tossed it under the sink. I have no idea what to do with it, since I don't want to give it to a friend and unleash the same horror on their face. A huge thanks to Sunday Riley and Influenster, though, for proving that I really don't need to spend that much money on overhyped skincare.